A quiet but centrally located apartment with over 85 sqm for up to 7 people. The apartment's special appeal is owed to its good location, quiet but close to some important places in the region. These can be reached quickly and easily. The next possible entry into the ski area is only three minutes from the house (by car). However, you will have just as easy access to this region's beautiful scenery during the summer months. Mountain biking, hiking, and swimming are just a few of the activities on offer in this region. 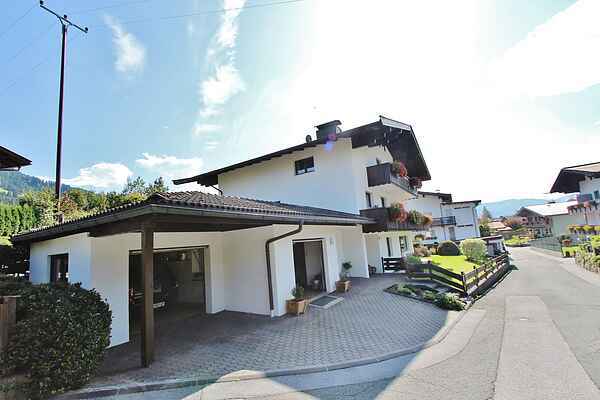 The train station of Westendorf is within walking distance of your apartment. You can explore the region very easily by rail.